*Note: Prices may increase dependent upon thickness and length of hair. Each hair color service is customized to accentuate your features, creating dimension and texture, while adding body and shine. Color, care, and style. Discover our complete range of naturally healthier hair products by Organic Color Systems ... is exactly that, a System. Designed to work within the hair’s optimum pH levels, their range of products work harmoniously with one another to give you beautiful hair color without damage. Even the most damaged hair can be repaired with our natural care products. 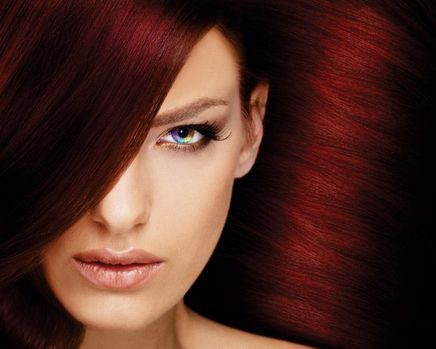 We create beautiful color with our non-damaging range of permanent color. We can change our clients’ style with our unique perming and semi-permanent straightening systems and then finish with a unique, non-aerosol styling range. Whether it's highlights, low lights, Ombre Balayage, accent lights, color melting, corrective color, and more. We've got you covered! Sometimes, all it takes is a touch of color to add some flair to your look. Shears 2 You professionals are experts in both creative and corrective hair coloring. Book your appointment for an in-depth consultation with one of our salon professionals to talk through your hair history, goals, and expectations for the service. We only use the highest quality products to ensure that your hair maintains its strength, luster and vitality as it takes on vibrant, eye-catching color. We’re proud to partner with Organic Color Systems and their luxury hair care brand which is excellent for their moisturizing, strengthening, and conditioning properties. You can trust that your colored tresses are in the best hands. What sets Shears 2 You apart as an industry leader is our deep concern for your hair’s life “beyond the chair.” In addition to providing top-notch hair coloring services, we equip every client with the necessary knowledge to help their hair thrive at home. Sharing relevant maintenance tips, product recommendations and other key insights are just a few ways that we set our clients on the path to healthy, luxurious hair. Not sure where to start? We would love to speak with you about the safest, most attractive coloring options for your hair type and condition. From a temporary glaze to full-coverage to a fun and flirty balayage, we offer a number of hair coloring services that are sure to satisfy your curiosity.